The pound strengthened as MPs voted yesterday evening to take control of the parliamentary timetable and therefore Brexit, by 329 votes to 302. We can now expect a series of indicative votes on Wednesday, in which Parliament gives its say on a number of Brexit options. However, this does mean that more volatility is on the horizon. As SNP MP Joanna Cherry Tweeted, Parliament could easily award itself another day and so forth. On the other hand, the results of the indicative votes are not binding – and Theresa May is unlikely to support any that go against her manifesto. In some positive news for the Eurozone, German business confidence came in higher than expected, helping to push up the euro, although consumer confidence was still disappointing. Disappointing economic data from the US, including the Chicago Fed National Activity Index figure, continue to raise concerns about the health of America’s economy. Today we will see a number of releases, including housing starts, building permits and consumer confidence and forecasts do not look positive. Don’t leave your money to chance in such a volatile environment. Take advantage of a forward contract and lock in the exchange rate for up to two years. Even if the market drops, your rate stays the same. Call your Business Trader on 020 7898 0500 to find out more today. Yesterday evening, MP’s voted to take control of Brexit. This paves the way for a set of indicative votes on Wednesday, which will look at alternatives to the Prime Ministers deal. The pound has strengthened moderately in reaction to this news. Sterling was steady yesterday, helped by a weaker dollar and talks of a third ‘meaningful’ vote. It is not clear yet if or when the vote will take place, however, the PM is still committed to getting her deal through. She said yesterday that there is not enough support for her deal yet to win the vote. This begs the question – will there ever be enough support? The DUP remain unchanged on their position towards the deal, stating that they will not support it. Sammy Wilson, the DUP’s Brexit spokesman, accused May of using the Irish border as an excuse for failing to deliver Brexit. The pound had suffered early yesterday after the EU said that a no-deal Brexit is ‘increasingly likely’. 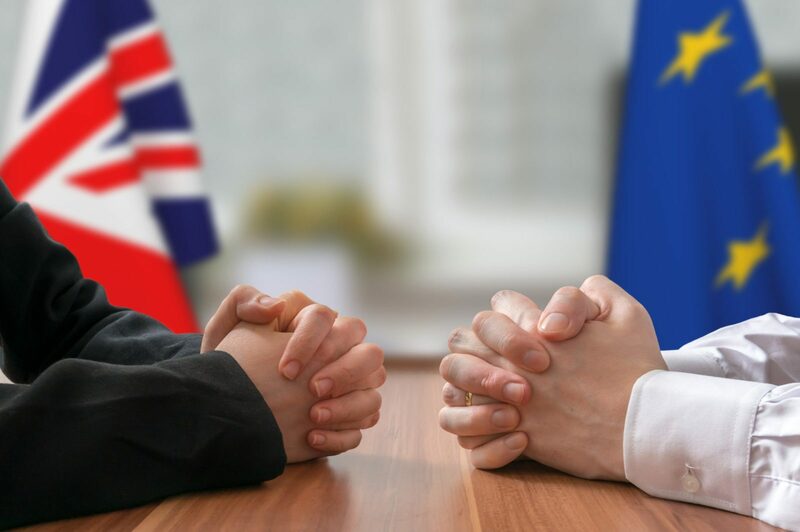 EU officials added that European companies had told Brussels that they would prefer a no-deal outcome soon, rather than prolonged uncertainty. The euro strengthened last night against the pound and dollar as yesterday’s IFO business climate survey for Germany came in above expectations, at 99.6, up from 98.7 last month. However, it did briefly dip this morning following a slightly lower than expected Gfk consumer confidence survey, coming in at 10.4 instead of a forecast 10.8. Tomorrow, we will see consumer confidence for France, expected to stay steady form February. As always, the main external pull on the euro this week is Brexit. The House of Commons will be holding a series of indicative votes on Wednesday – leaving the path Parliament takes open to any option. That said, Theresa May will not necessarily follow the results of the vote, especially if it’s not in the Conservative manifesto, so uncertainty has only been multiplied. The GBP/USD exchange rate was flat yesterday after disappointing economic data from the US and growing fears of a no-deal Brexit. The dollar was pressured by February’s Chicago Fed National Activity Index figure, which slipped to a disappointing -0.29. This added to growing fears of a slowing US economy and caused the dollar to weaken against the pound late on Monday.